A good sized crowd gathered at a blustery Belmont to watch this crucial Kukri Qualifying 1 fixture featuring CIYMS vs Cooke. CI started with the wind on their backs but it was the visiting team who kept more of the possession in the first 20mins. CI were combining some hard accurate tackles with the less effective alternatives. Cooke, forced to run the ball on every occasion due to the conditions, we helped on their way by CI missed tackles. However, the attacks where from too far out to produce any tangible results. The remainder of the half failed to inspire the support with the game played within the two 15m lines. It was an an innocuous Cooke clearance kick which led to the opening of the scoring, CI catcher knocking on and Cooke scampering in the for score. There was confusion of whether a Cooke penalty had been successfully converted but the ref eventually ruled otherwise. Cooke were using the end to good effect to pin CI back and were held up over the CI line. 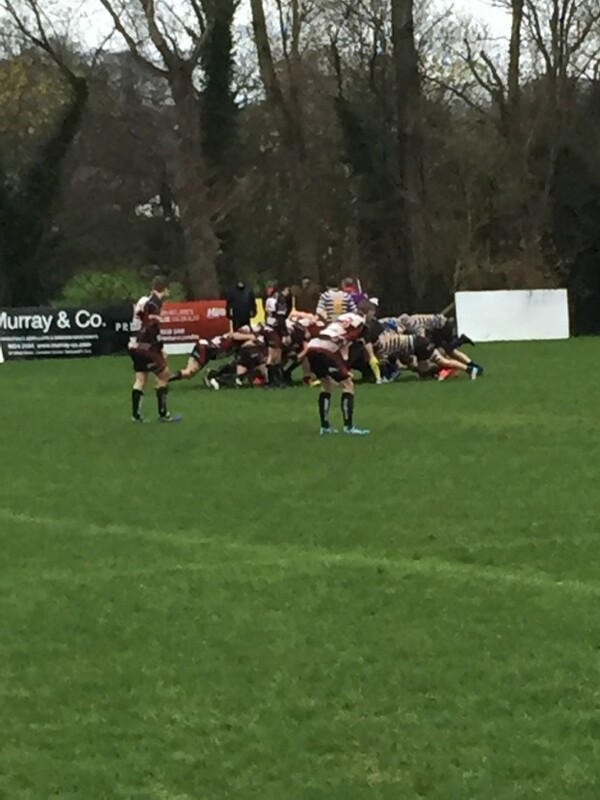 After about ten mins the 22 and a series of scrums, Cooke barged over to extend their lead to 10-0. A Cooke penalty in front of the posts was converted to extend the advantage. Cooke kicked long from a turnover in their own half and Scott Dowle showed good intent to track back in the wet conditions but slid over his own try line to concede a 5m scrum. From the resulting phases, Cooke moved from right to left and crossed out wide. Conversion made, 20-0. Some CI phases in the last ten minutes into the wind but otherwise Cooke were decent value for the win in an altogether poor game.